Over the Sydney Harbour Bridge and northward towards the Northern Beaches is Avalon. A beachside Sydney suburb that has a fabulous ocean beach with a crescent shape, which is backed by the dunes of Des Creagh Reserve. The reddish soft sands at the beach indicates the presence of iron oxide. It was named after the legendary Celtic island, a place where King Arthur rested from his wounds after the battle of Camlann. Fatally wounded, it was where he was eventually buried in a tomb, described as such in the legendary account by Geoffrey of Monmouth’s The History of the Kings of Britain. Situated between the waters of Pittwater and the ocean, the suburb of Avalon attracts not only beach goers but those keen on sailing, skiing and boating. Just as important, it is protected by the Avalon Beach Surf Life Saving Association, aiming to provide safety for beach goers on weekends and public holidays. They use yellow and red flags to indicate where it is safest to swim at the beach and it is important to follow their instructions for you and your family’s safety. If the flags are crossed, the beach is closed for swimming as it is not patrolled. On the east side of the suburb, there is a calm body of water fed from the Hawkesbury River, called the Pittwater. As a result you can hire boats there, go kayaking, fishing or any number of other calmer water activities. On the ocean side is the beach, of course, surfing is a big attraction here. During the year, in the months of December to the end of January, there is the ’Bard on the Beach’ festival, where plays by Shakespeare are performed in the ambient atmosphere of the seaside. There is also the Avalon Beach Surf Swim, held on the 2nd Sunday of January. With prizes to be won, it attracts over a thousand keen swimmers every year. Another popular swim event is the ’Around the Bends Swim’ which starts at Newport Beach just to the south, past the headlands and to Avalon Beach. Although long, there is has plenty of water safety along the way. There are also pristine views to be had, not only of the fish and other sealife, but of the coast and headlands. Many participate just for that, rather than trying to be first. 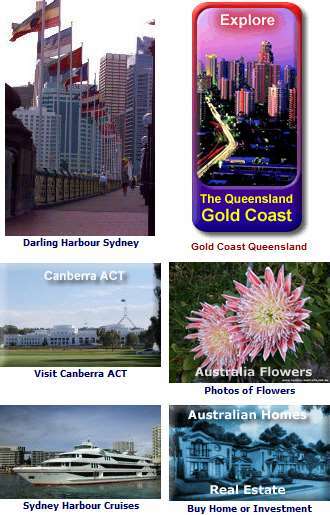 By car from the city it is a matter of crossing the Sydney Harbour Bridge and heading northwards via either the Spit Bridge or via Pymble and Terrey Hills on the A3. It does get busy during rush hour, however. There are also regular bus services from the city at Wynyard train station in the city. You can also catch buses from Manly, accessible by ferry from Circular Quay. There is much to explore in Avalon itself. The shopping centre, not far from the beach, has an eclectic collection of shops with everything from speciality shops, delis, eateries to antiques and surfboards. 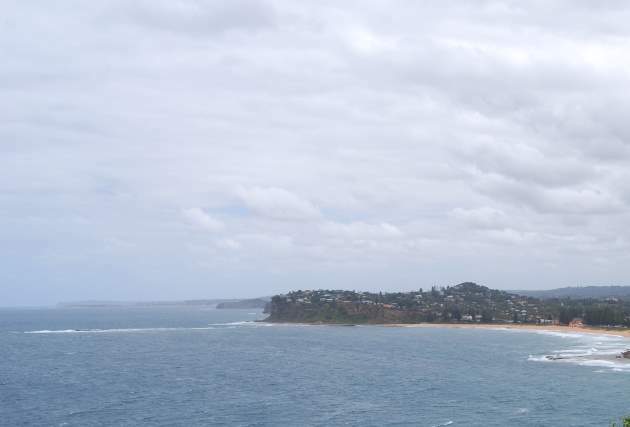 Photo: Avalon Beach - Almost red sand and a cloudy sky. Although it is a summer day, Australia was in the grips of La Nina weather, causing Australia to receive more rain than usual. The summer rains are relatively warm and pleasant, unless your worried about getting wet at the beach.